I’m on a bit of a vermouth mission at the moment. My previous post took a look at an Italian range which hit the UK at the latter end of last year. This particular range came to fruition in 2011, but this article will focus on a name that has been in production since the 1800’s, yet only recently came to the shores of the UK. 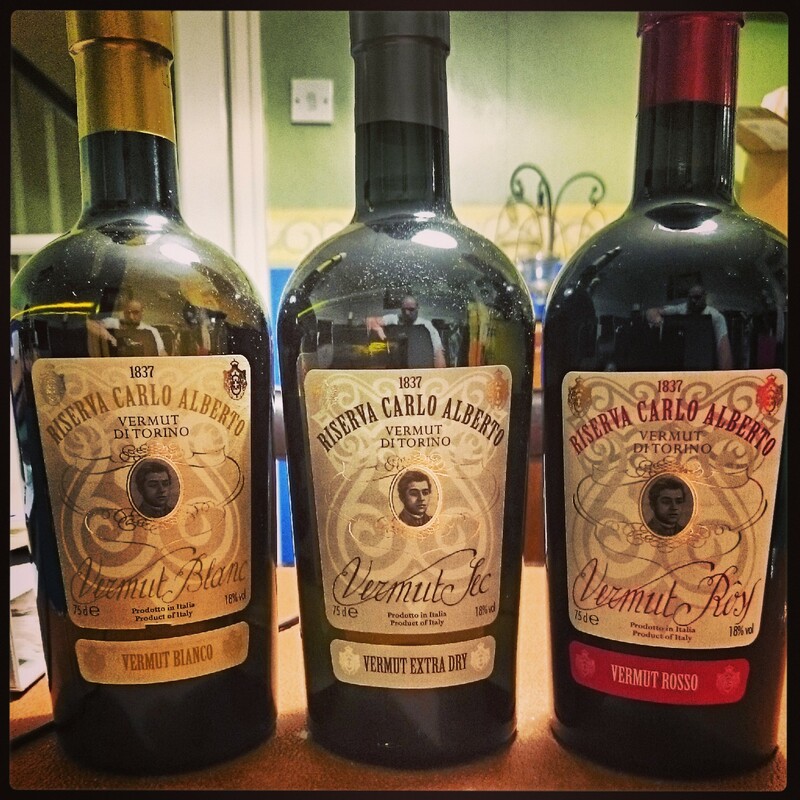 Let’s take a look at Riserva Carlo Alberto. To begin our experience, we must take a look at how the societies of Turin and Piedmont came to enjoy their pre-dinner aperitif. During the era of King Carlo Alberto (1831 to 1849), the King of Piedmont-Sardinia within the small Savoy Kingdom, Italy, the industrial revolution was emerging, with two sides becoming visible. On one side, the civil and commercial innovations were making Piedmont the most advanced state in Europe, yet on the other, the social principles found support in the small crafted movements that made Turin the capital of the world in alchemy. The ritual of Vermouth (or Vermut in the Piedmont dialect) before meals was the moment when all the innovative persons met within a variety of locations. From café to restaurants, piolas (wineries where food was served) to salons, wherever was convenient, it was here that it would be a time where they could discuss politics and economics. Riserva Carlo Alberto itself came about via King Carlo Alberto’s chef who prepared especially a vermouth fitting for a King (pun intended). The recipe was passed to a fine wine shopkeeper named Tumalin Baracco Bartolomé de Baracho, who continued to run an exclusive production of the vermouth for almost two hundred years. Once King Carlo Alberto passed away, he named it after him so his legacy could be spoken. Today, they still make limited editions of vermouth using the wines listed in the original recipe (Caluso Erbaluce and Asti Muscat). Flavoured with 25 herbs and spices. A sweet aroma of honey is present on the nose. Sharp on the palate, yet the sweetness soon overtakes. A smoother finish than expected, with honey, banana and a bold kick of spice to finish. Flavoured with 21 herbs and spices. Soft, light, perfumed aromas on the nose with a more herbaceous scent unravelling. Sharp on the palate, but it soon mellows into an extremely light flavour. A little tart with citrus and herb flavours mixing. Flavoured with 27 herbs and spices. Fresh cherry aromas on the nose, with soft herbs and hints of spice. Ripe red fruit on the palate, incredibly soft texture creating a lingering flesh apple finish. Stunning. Build over ice and decorate with half an orange slice. Although not widely available as of yet, I’d keep an eye out for it. The Italian bartenders have been playing around with the brand and have come up with some cracking ideas and recipes. Just imagine what would happen when the likes of London, Manchester and Edinburgh get their hands on it. I think vermouth is going to be the new trend, catch it while you can.